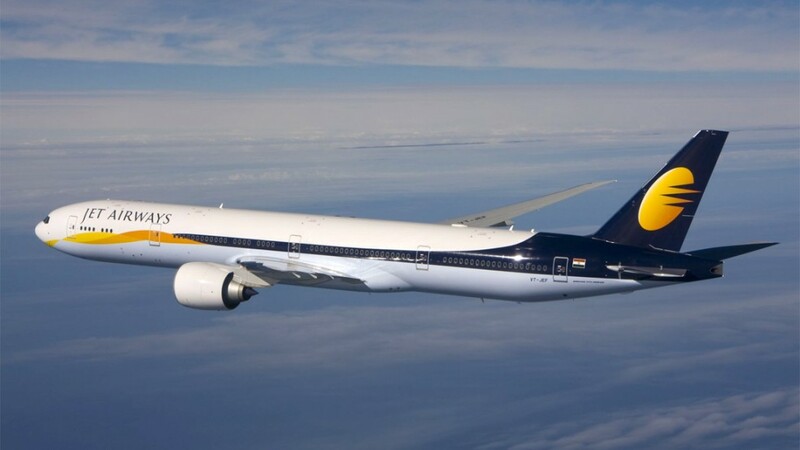 The airline safety and product ratings for 2018 by global airline safety and product rating agency Airlineratings.com has Jet Airways topping the ‘product’ category list with a score of 7/7 in the full-service carrier category. Indigo has scored 4 in the low-cost airline category. In the ratings announced this week, Air India has scored five, while Air Asia India has got a rating of 2 on 5. An airline is rated from 1 to 7 stars on product category, with seven being the highest ranking for full service carriers, while the low-cost ones are rated out of 5. While Indigo and SpiceJet have managed a product rating of 4 each out of 5, Air India and GoAir have got 5 on 7 and 3.5 on 5 respectively. Vistara Airlines is the only Indian carrier not rated. The criteria for product ratings include personal in-flight entertainment, cabin space and comfort, beverages, food, seat recline, website information, etc. In the ‘safety’ category, Air India, Go Air, Indigo, Jet Airways and Jet Konnect have all managed a rating of 6 on 7. Air Asia India and SpiceJet have got 3 on 7 each, while Air India Express, the only Indian carrier without a fatality-free record — due to the 2010 Mangalore air crash — has got a rating of 5. “The product is core to our business and a competitive differentiator across the industry. The quality of the experience determines whether guests travel with us or another airline. As a result, we are constantly innovating to ensure that we remain the gold standard of product excellence in the aviation industry,” a Jet Airways spokesperson said. AirlineRatings, launched in June 2013, rates the safety and in-flight product of 405 airlines. It has been used by passengers from 232 countries and has become the industry standard for safety and product rating. No bids have been received so far for Air India stake, the Government said on Wednesday even as it hoped of getting a good response on the last day of the formal bidding process on Thursday. “We expect good response before bid closes tomorrow,” Civil Aviation Secretary RN Choubey told PTI responding to a query. Earlier in the day, he said no bids have been received for the stake sale so far. The deadline for the expression of interest ends on Thursday and the request for proposal could be issued only after June 15. On May 23, Choubey had said the highest bidder for the airline would be known by August-end. But, the highest bidder might not be the successful bidder, he said, adding the Government intends to complete the disinvestment by year-end. Significantly, he had said the Government could decide against selling State-run Air India if it does not get “adequate” price for it. “The Government has the right to sell or not to sell Air India if the bid price is found to be inadequate,” Choubey had told reporters. “Though the transaction adviser (EY) will assess the enterprise value, the right price for the airline will be decided by us,” he said. Asked about AI employees’ union protests against the proposed sale, he said they were conscious of the fact that airlines would do well after privatisation. The Government had on March 28 unveiled plans to sell up to a 76 per cent stake in the loss-making carrier, and transfer the management control to private players. The profitable Air India Express and the joint venture AISATS — an equal joint venture between the national carrier and the Singapore-based SATS Ltd —will also be a part of the disinvestment process. The ailing airline’s total debt stood at Rs 48,781 crore at the end of March 2017. Budget carrier IndiGo has cancelled as many as 47 flights on 13 March, 2018 after the country’s aviation regulator DGCA grounded its eight A320Neo planes with faulty Pratt & Whitney engines, along with three such aircraft of GoAir. IndiGo has cancelled 47 flights across its domestic network on March 13, the airline announced on its website. The flights that have been cancelled are from Delhi, Mumbai, Chennai, Kolkata, Hyderabad, Bangalore, Patna, Srinagar, Bhubaneswar, Amritsar, Srinagar and Guwahati, among others. The Directorate General of Civil Aviation ( DGCA) cracked the whip after an IndiGo flight bound for Lucknow returned to Ahmedabad within 40 minutes of its getting airborne due to a mid-air engine failure on Monday. Three other IndiGo A320Neo planes have been on the ground since February following similar engine problems. Citing safety of aircraft operations, the Director of the DGCA, in the March 12 order, said that A320 Neos fitted with PW1100 engines beyond ESN 450 have been grounded with immediate effect. Three other IndiGo A320Neo planes have been on the ground since February following similar engine problems. IndiGo has cancelled 47 flights across its domestic network on March 13, the airline announced on its website. The flights that have been cancelled are from Delhi, Mumbai, Chennai, Kolkata, Hyderabad, Bangalore, Patna, Srinagar, Bhubaneswar, Amritsar, Srinagar and Guwahati, among others. The Directorate General of Civil Aviation ( DGCA) cracked the whip after an IndiGo flight bound for Lucknow returned to Ahmedabad within 40 minutes of its getting airborne due to a mid-air engine failure on Monday. On Monday, hundreds of passengers were stranded across the country as dozens of flights were cancelled by IndiGo and GoAir following the grounding of 11 planes. IndiGo operates about 1,000 flights daily. IndiGo carries about 40 per cent of domestic flyers, while GoAir has a market share of around 10 per cent. InterGlobe Aviation-run budget carrier IndiGo cancelled over 80 flights as the airline grounded more Airbus A320 Neo (new engine option) planes due to Engine issues. As many as 13 A320 Neo aircraft are on ground due to the Pratt & Whitney-supplied engine issues, forcing the airline to cancel 84 flights today, sources told PTI. The frequent grounding of the A320 planes is taking place due to multiple issues, including engine failure, the sources said. According to the sources, a total of 667 flights were cancelled by IndiGo between June 21 and July 3 this year, with 61 flights cancelled on June 27 alone, due to the grounding of these planes. The sources also said that of the 667 flights cancelled by IndiGo in 13 days, a total of 504 flights were cancelled between June 21 and June 30, while the remaining 163 were cancelled on the first three days of July. A response to the queries sent to IndiGo on the issue was awaited. A text message sent to the Director General of Civil Aviation, B S Bhullar, seeking response to a query whether the DGCA was considering grounding of the entire Airbus A320 Neo fleet with Pratt & Whitney engines, did not yield any response. The war of words over 5/20 norm continues with AirAsia chief Tony Fernandes on Saturday After Ratan Tata, AirAsia chief joins fight over 5/20 norm asking whether all of them live in India, in an obvious reference to Jet Airways chairman Naresh Goyal, an NRI living in the UK. Goyal’s airline along with three budget carriers – IndiGo, SpiceJet and GoAir – are opposed to change in the existing regulation, popularly known as ‘5/20 norm’ for international flying by domestic carriers, which the government is mulling as part of its proposed new civil aviation policy. AirAsia India and Vistara – two airlines operated by the Tatas through joint ventures – are presently ineligible to operate overseas as the 5/20 norm requires an Indian carrier to have minimum five years domestic operational experience and at least 20 planes to go international. “Reading all the stuff on TATA and Airasia. Quite crazy 5/20 hasn’t been solved. Are owners of Indian airlines living in India. Naresh? NRI,” Fernandes said in a series of tweets. Tata Sons runs joint venture airlines, Vistara and AirAsia India, with Singapore Airlines and AirAsia respectively. Arun Bhatia of Telestra Tradeplace is the third partner in AirAsia India. Terming as sad the lobbying of incumbent airlines for “protection and preferential treatment”, Chairman Emeritus of Tata Sons, Ratan Tata had last Sunday said such moves (for continuation of 5/20 norm) are reminiscent of the monopolistic pressures by entities with vested interests who fear competition. The incumbent carriers under the banner of Federation of Indian Airlines (FIA) too hit back at Tata and the subsequent statement from Tata Sons alleging that the demand to call for removal of 5/20 was not in “national interest” but “self-interest” on the part of the Tata Sons and its partner airlines. “People of India your voice needs to be heard more. For too long airlines have been controlled by a few. Mostly NRI. Competition is needed,” Fernandes, whose airline AirAsia holds 49 per cent in AirAsia India, said in another tweet. “Indians need more tourism. More jobs. Only country in the world with a 5/20 rule. Malaysia has foreign airlines operating here. No issue,” he further tweeted. Under the current FDI regulations, foreign airlines can own up to 49 per cent in domestic carriers while an NRI is allowed to hold 100 per cent in an airline. However, FIA alleges that AirAsia India and Vistara were being controlled by their overseas stakeholders – Air Asia Bhd and Singapore Airlines, respectively, a charge which Tata Sons has denied. Tata Sons claim that that the majority ownership and effective control of both airlines are with the Indian parties as per the government’s requirement. Along with finalising the new civil aviation policy, which is in the advanced stage, the government also has to decide the fate of 5/20 norm. Domestic airlines witnessed a robust growth of nearly 25 per cent in November with 11 carriers together flying 7.32 million passengers as compared to 5.82 million passengers in the same period last year, driven by the demand in the tourist season. Domestic air traffic grew by 24.65 per cent in the month of November, according to DGCA monthly traffic data. However, the growth during the January-November period stood at 20.41 per cent for flying 73.38 million passengers as against 60.94 million passengers transported by the domestic carriers in the same period of 2014, the data said. In the month of November, budget carrier IndiGo lost market share by a few notches despite carrying more number of passengers and continued recording the highest load factor. According to the data, IndiGo carried 25.98 lakh passengers in the reporting month against 25.90 lakh passengers flown by it in October 2015. The airline’s market share, however, dropped by 1.3 per cent to 35.5 per cent in November. As on date, 14 Scheduled Operators are functioning in the country. ” Air Costa started operating In October 2013. SOURCE :- ICAO ATR FORM-EF FURNISHED BY SCHDEDULED INDIAN CARRIERS. Note: 1. Air Asia started operating in June 2014. 2. Vistara started operating In January 2015. Booking of tickets by airlines is a commercial aspect of airline in which Ministry does not interfere; It is decided by airlines themselves depending upon market factors and international practices. This information was given by Minister of State for Civil Aviation, Dr. Mahesh Sharma in a written reply to a question in Rajya Sabha today. The operator of top Indian airline IndiGo is looking to raise up to $510 million in its initial public offering (IPO), according to sources, betting on an improved financial outlook helped by lower oil prices and surging passenger growth. That figure is higher than previously expected; bankers said in the summer that the company was expected to raise up to $400 million, but its valuations have since been bolstered after it reported a big rise in annual profits. InterGlobe Aviation Ltd, which operates the low-cost airline, has set the indicative price band for the IPO at between 700 and 765 rupees per share, according to the three sources directly involved in the process. At the top end of the price band, the airline would raise as much as $510 million, making it the largest IPO in the Indian market since 2012, and giving the company a market value of about $4.2 billion, said the sources. The sources did not want to be named ahead of a public announcement. A spokeswoman for IndiGo did not respond to a request for comment. IndiGo, whose rivals in the Indian aviation market include Jet Airways and SpiceJet, has been the only consistently profitable airline in the country for the last seven years, according to consultancy Centre for Aviation. Its share sale, set to be the first airline listing in nine years, will open on Oct. 27. The company plans to use the proceeds to pay off some outstanding aircraft leasing liabilities and to expand its business. Some investors, however, said the pricing was on the high side. “Even though IndiGo is doing well and it is the country’s most profitable airline, the pricing for this issue is a bit aggressive,” said Neeraj Dewan, director at brokerage Quantum Securities. The IPO is set to be the biggest airline public issue in India since low-cost carrier Deccan Aviation’s market debut in 2006. It will also be the second high-profile public offering this month, triggering hopes of a revival in India’s sluggish capital market activity. Coffee Day Enterprises Ltd, India’s biggest coffee chain operator, was oversubscribed for its up to $177 million IPO which closed on Friday. IndiGo’s book for cornerstone investors – guaranteed a major share of the offering regardless of the final price – will open on Oct. 26. The IPO will close on Oct. 29 for all investors, according to the company’s prospectus. As many as 62 pilots of Jet Airways and Air India have flown out of the two airlines in a little over one year to join other carriers, with a majority of them boarding the Rahul Bhatia-promoted IndiGo. While private carrier Jet Airways has lost 30 pilots in 15 months to budget carrier IndiGo, state-owned Air India has seen the migration of 32 pilots in the past one year, industry sources said. “Some 30 pilots including ATR commanders and Boeing 737 first officers have left Jet Airways in the past 15 months to take up employment with IndiGo for better pay packages and work environment,” sources said. Most of these pilots have already joined IndiGo after serving the mandatory 6-month notice period, they said, adding the rest are expected to board the airline in the next one to two months. When contacted, a Jet Airways spokesperson termed the resignation of the pilots as a part of normal attrition faced by organisations. “This is part of the normal attrition faced by organisations across industries. In all cases of resignations, the relevant provisions of notice period are applicable,” the spokesperson said. Jet Airways employs sufficient number of type-rated crew to ensure optimal use of its fleet, he added. A type rating is a regulating agency’s certification of an airplane pilot to fly a certain aircraft type that requires additional training beyond the scope of the initial license and aircraft class training. Sources said the “flexible” service contracts offered by IndiGo is one of the reasons apart from the higher pay packets for the pilots quitting Jet Airways. IndiGo offers seven different types of job contracts to its employees, providing greater flexibility, as against a single conventional contract by most of the domestic airliners, sources said. Confirming the resignation by 32 of its pilots in the last one year, a senior Air India official said this has not affected the airline’s operations in any way. “Of course, 32 pilots have quit the airline in the last one year to join other carriers, including IndiGo and some Gulf airlines, but this has not impacted Air India operations. Requirement-based hiring of pilots is an on-going process,” the official said. Significantly, several domestic airlines in the past have voiced their concern on the poaching of skilled workforce, particularly of pilots, engineers and cabin crew by the competitors. Acknowledging that the industry was facing the problem of poaching, Minister of State for Civil Aviation Mahesh Sharma had in March this year indicated putting in place some mechanism to check it. The poaching of staff “results in crippling shortage of trained manpower for airlines…We can ask the DGCA (Directorate General of Civil Aviation) to frame guidelines to address this matter,” Sharma had said. What is the best solution to the Kashmir problem?